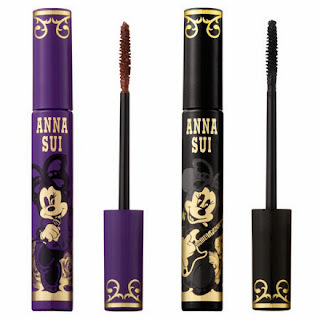 Celebrate the holidays with the original cartoon "It" girl Minnie Mouse and her Anna Sui collection! Anna Sui Minnie Mouse Perfect Mascara in Rich Black - $29 - for beautifully separated lashes and iconic eyes, just like Minnie Mouse (although I'm not aware that she wears mascara or even has eyelashes) with limited edition Minnie Mouse packaging. 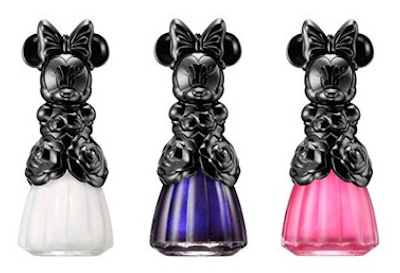 Anna Sui Minnie Mouse Collection Nail Colour N - $15 - in 002 Snow White, 200, Midnight Purple and 300 Neon Pink - packaged in a limited edition Minnie Mouse bottle. 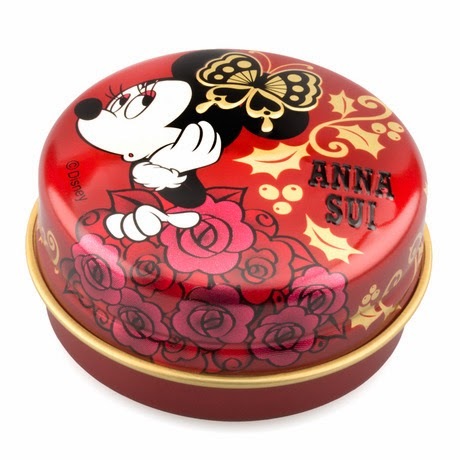 Anna Sui Minni Mouse Collection Lip Balm - $24 - for a perfectly moisturized and glossy pout. All items except the Makeup Kit are available at select Shoppers Drug Mart, Pharmaprix and Murale stores across Canada. The Makeup Kit is a Hudson's Bay exclusive and can be found at their locations at Yorkdale, Eaton Centre, Sherway Gardens and Vancouver Downton. Oh my goodness these are adorable! I wouldn't know how to use the lipstick though. I would just keep it pristine and not wreck Minnie's ears! These are soooo cute! I'm going to Shopper's ASAP!